Lynn Herrmann is an assistant professor of public health and health education at Northern Illinois University. Her research interests include fitness technology and wearable device adherence and efficacy, the social aspects of exercise, gender and exercise, and international health primary prevention. Lynn is an American Council on Exercise Group Fitness Instructor and BOSU Master Trainer. 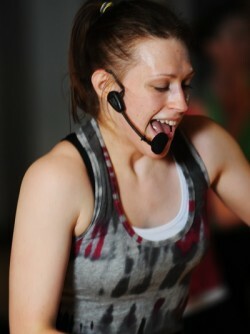 She teaches a variety of fitness formats and strives to sequence exercises in challenging and beneficial ways. At Creative Therapeutics, Lynn teaches Total Gym Gravity, Yogalates, and Pelvicore.